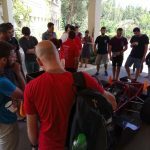 This week we held a special event for the Formula Student Technion 2017 Project at our faculty. 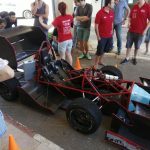 This project is the largest of all student projects at the Technion, counting almost 50 students from various faculties, who design, manufacture and compete abroad in the international Formula Student league (which includes more than 700 teams around the world). 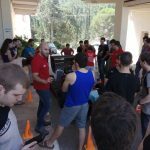 Aerospace Engineering students are involved in various teams in the project, with their primary field and contribution being the car’s aerodynamics, in particular the inverted wings that produces “downforce”. 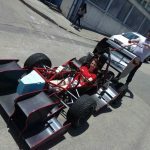 As a competitive project, it is one of a few projects that allows for a full development process that includes design, manufacturing, and eventually full use of the system. The aerodynamic design is based on advanced flow simulations (CFD), and the wing’s mechanical design is based vastly on composite materials. 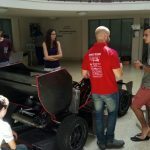 The manufacturing process is executed by the students themselves, and is achieved thanks to a deep collaboration between the Formula project, our faculty and “Kanfit Ltd.”, who assist by providing the infrastructure needed for composites manufacturing. 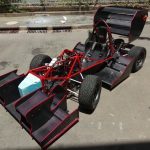 The manufacturing process in the Formula project is the most comprehensive of all of Technion’s student projects. We wish our students much success in this year’s competitions, and will keep pushing the team forward in upcoming seasons. Good luck! Credit and thanks to Omer Cohen, a student at the faculty and a member of the team, for preparing this article.